The University of Georgia today announced that Matthew Auer, vice president for academic affairs and dean of the faculty at Bates College since 2013, has been appointed dean of its School of Public and International Affairs. Auer, whose appointment is effective July 1, will continue at Bates through the end of the academic year on June 30. Auer, who holds a faculty position as professor of environmental studies at Bates, is a prolific and widely recognized international scholar and expert in environmental policy, energy policy, sustainable development, and foreign aid. He is an award-winning author of more than 50 peer-reviewed journal articles and book chapters. Since 2013 at Bates, Auer has overseen the development of the college’s new Digital and Computational Studies Program and has helped to guide the first expansion of the faculty in more than a decade. Both achievements were announced in February 2016 with the creation of six new endowed professorships funded by new gifts of $19 million. Auer has also overseen the successful recruitment of 28 long-term faculty with approximately nine more to be appointed in the current academic year. Integral to faculty hiring has been Bates’ more robust, better resourced, and more sustainable approach to achieving gains in faculty diversity. Auer has been instrumental in Bates’ deployment of the Mellon Diversity and Faculty Renewal Postdoctoral Fellowship Program, which offers the early-career value of a postdoctoral fellowship with the career-advancement potential of a tenure-track position. Last year Auer announced funding for and establishment of the innovative Summer Science Research Experience, a program that funds 15 new summer research positions for students in STEM fields while giving those students a more structured and unifying summer experience with their faculty mentors. Bates’ position in the top 30 liberal arts colleges in the proportion of graduates going on to earn doctorates in the sciences is largely due, Auer said, to the “high-quality science mentorship” they receive during summer research. In 2016, Bates launched the grant-funded Academic Resource Commons to promote learning and skill-building through a peer-tutoring model. Located in Ladd Library and funded by a grant from the Davis Educational Foundation, the dedicated ARC space and grant resources are strengthening the college’s support for writing, peer-assisted learning, and peer tutoring. Prior to Bates, Auer was dean of the Hutton Honors College of Indiana University. 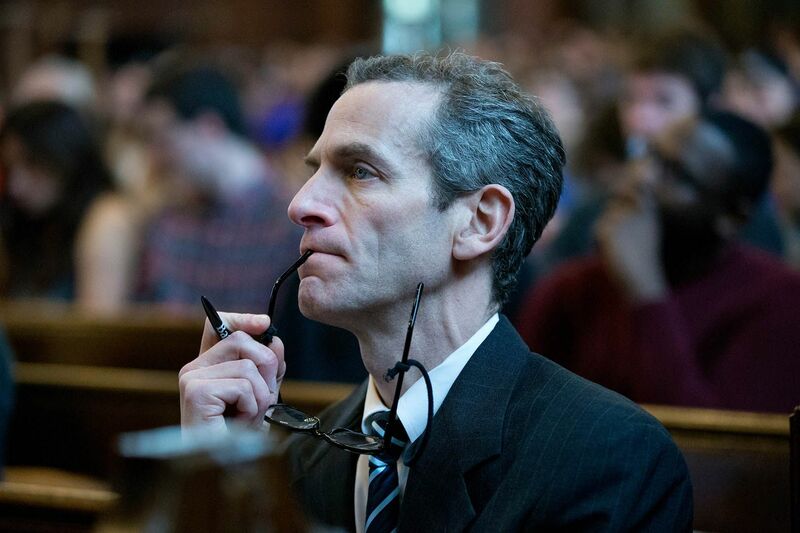 He earned a doctorate and master’s from Yale University, a master’s degree in law and diplomacy from Tufts University, and a bachelor’s degree from Harvard University. Spencer said that she will work closely with the faculty to determine the appropriate timing for a search for Auer’s successor and possible interim arrangements.